As Autumn is clearly visible along the roadside to Rock Lake in Algonquin Provincial Park in Ontario, Canada, colorful leaves are clinging on to the tree branches. 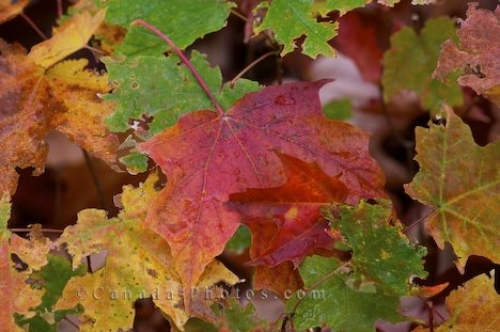 Once Autumn begins its process in Algonquin Provincial Park in Ontario, Canada, it does not take much time before there is a colorful array of leaves hanging on the trees. The drive towards Rock Lake in Algonquin Provincial Park is one of the prettiest at this time of year. Picture of colorful leaves slowly disintegrating as Autumn is in full swing in Algonquin Provincial Park in Ontario, Canada.